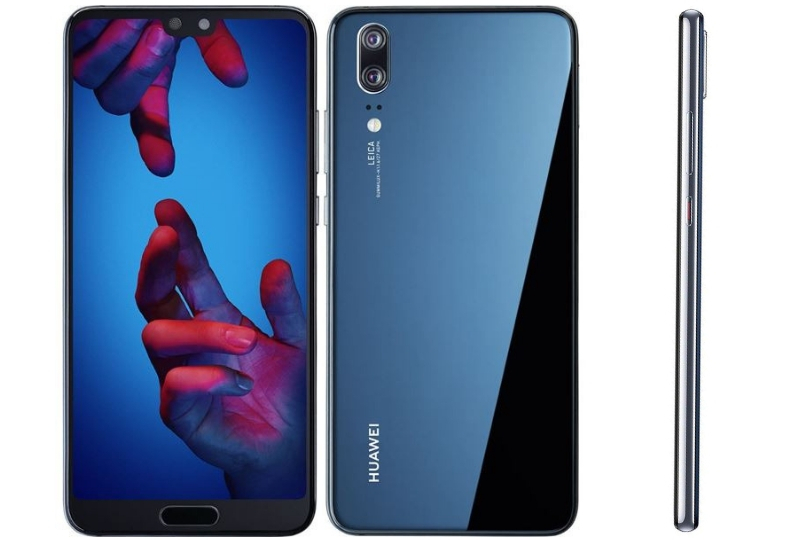 The Huawei P20 is a more affordable counterpart of the Huawei P20 Pro. The Pro version has received much praise for having an excellent camera and gaining high benchmark scores. The younger sibling may not be able to compete with an older counterpart. However, it certainly has found a blend of quality and performance for the right price. The P20 dons a 5.8-inch notched LCD. The AI-enhanced Kirin 970 works well to produce adequate performance levels. It has a dual rear-camera with 12MP and 20MP sensor and a 24MP front camera that can capture beautiful pictures. The Huawei P20 is a good phone on its own. The P20 has a smooth design with the back casing made of durable glass. The frame of the phone is made of highly polished metal. 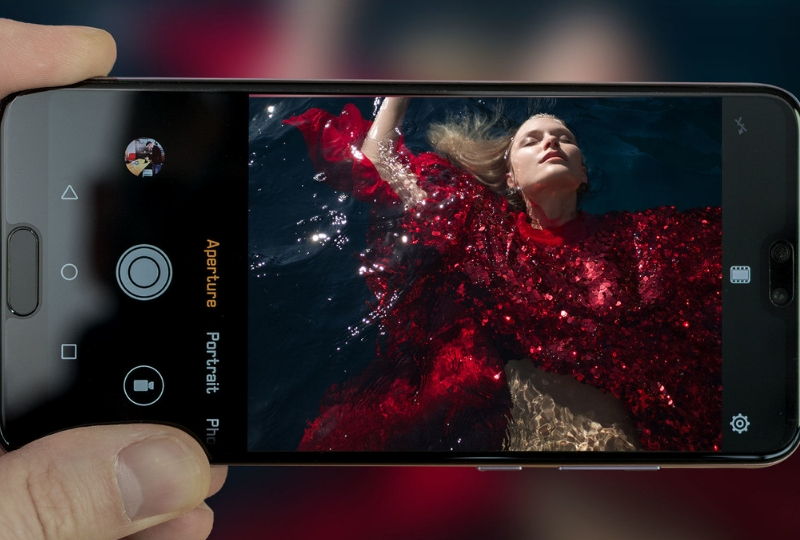 The smooth curved chrome edges and notch in the front side resembles another excellent camera smartphone, the iPhone XS. A lot of iPhone inspiration can be noticed in the P20. The fingerprint sensor is mounted on the front right below the screen. This may be a turn off for some people as front-facing fingerprint sensors are seen as a bad design choice. The volume and power buttons are positioned on the right side as is customary. The design is nothing innovative, and you can quickly notice the iPhone resemblance at first glance. The phone is available in different colors of black, midnight blue or pink gold. The most popular choice though is, ‘Twilight.’ A blue/purple gradient that goes well the shiny metal frame and the glass back. The polished metal and glass combination makes the phone slippery in hand. So, it is wise to be careful when handling the phone. The P20’s screen has a lot of useful features going for it. It has a 5.8-inch LTPS screen that packs a resolution of 2240 x 1080 pixels. Concerning display, the P20 is just as good as the P20 pro with some minor differences. Like most smartphones of 2018, the P20 has an 18.7:9 aspect ratio. The P20’s notch houses the front-facing camera and the earpiece. The notch may be a turn off for the many people who aren’t fans of it. Fortunately, Huawei has taken those fans into account as well. The notch itself is smaller compared to that of the iPhone. It only takes up 20 percent of the screen width whereas the iPhone takes up 60 percent. Still, if you’d instead get rid of the notch entirely, then that’s an option too. You can make the entire top region black by going to settings. This is a much better alternative compared to what Apple did in trying to hide the notch of the iPhone. Apple simply avoided showing it in the promo images. The screen quality is excellent. Unlike the P20 Pro, there is no OLED panel, but there is a 1080 x 2244 RGBW panel. However, it still has great contrast, colors, and brightness. The screen also offers tons of features. For example, you could set the white balance of the screen according to the ambient light. You have the option to switch the palette from the sRGB mode to the vivid DCI P3 mode. You can also turn down the resolution to 720p if you want to get longer battery life. Overall, the screen and display are excellent. The contrast is decent and comparable to that most other IPS display phones. The color gamut coverage and color accuracy are good. The brightness (456cd/m2) is also pretty good too. It gives brighter viewing in ambient light settings. Is it the best display? Not really. 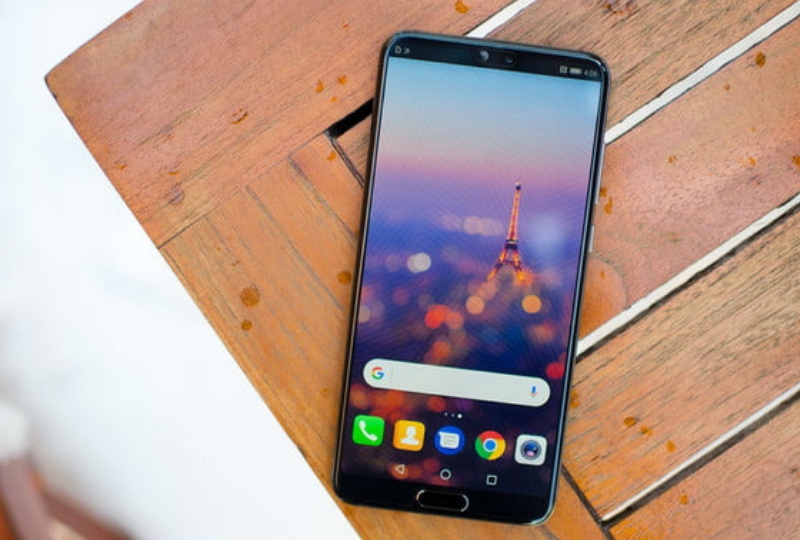 The likes of Samsung Galaxy S9 and Samsung Galaxy Note 9 outshine the P20 by a huge margin. The P20 Pro was hailed as arguably the best camera smartphone because of the three cameras and its many in-depth features. The P20 does not deliver the same level of quality in its cameras. It doesn’t mean the camera is terrible though. While it doesn’t have the three sensors like the P20 Pro, the dual cameras are still good. The P20 has a 12MP telephoto sensor with a focal length of f/1.8. In addition, the phone contains a 20MP monochrome sensor with a focal length of f/1.6 that adds depth and texture. It also has a 24MP selfie camera much similar to that of the P20 Pro. They are wonderful additions that can help you take shots even without the 3x optical zoom that the Pro offers. The lenses used in the two cameras are Leica branded. This makes it much better in quality than cameras of phones in a similar price range. It contains a 4-in-1 hybrid focus that uses contrast and phase and detects AF with laser and stereoscopic focusing. This was used in the Mate 9 as well. The Mate 9 was able to deliver super fast and accurate focusing in challenging lighting conditions and for any type of subject. However, the same level of performance was not seen in the P20. Upon testing the camera of the P20, the results were not as pleasing. The camera can capture good photos in low light settings, but they are nothing to be amazed at. The images lacked sharpness, had issues with exposure and seemed over-processed at times. The P20 Pro also had an issue of oversaturating the images at times, but the P20 takes that to another level. Under moderately lit and bright settings, the camera can shoot good photos. However, the photos aren’t comparable to the likes of iPhone X or Samsung S9. The P20 uses an enhanced version of the AI image-processing the engine that was initially seen on the Huawei P10. This AI has been given new features to improve the processing and image quality output. One of the new main features is the frame-by-frame optimization that helps for various scenarios like close-ups, portraits, and night photography. The P20 offers tons of features for capturing high-quality video. For its price, there are tons of features (could’ve been more though) and video quality is also suitable for standard settings. However, a major issue is that the P20 doesn’t let you use multiple features together. It offers high-end videography features like 4K resolution, 60fps frame rate, and incredible video stabilization features. Yet, none of these can be used in conjunction. Want to take a 4K video? Sure. It won’t be stabilized though, and it will capture at 30fps. Want a frame rate of 60fps? Drop the resolution to 1080p. Want the best possible stabilization? Drop the resolution to 1080p and the frame rate to 30fps. This defeats the point of having so many features. The videos that we took with each feature were good. The stabilization was excellent. The 60fps capture worked fine, and the 4K resolution videos had immense detail. But if you’re looking to capture some near professional videos with this phone, you’ll have to look elsewhere. Packing a 3400mAh Li-ion battery, the P20 has an excellent battery life for the level of performance it gives you. You can easily last a day with moderate usage. The battery life isn’t all too different from the P20 Pro’s 4000mAh beast of a battery. Huawei’s fast charging tech, the Super Charge is reliable and can charge your phone to 100 percent within 50 mins or so. It is comparable to the likes of Samsung’s fast charging tech. You can also save more battery life by reducing the resolution 720p. This makes a huge difference in battery life. The Huawei P20 is nowhere near the monster of a phone the P20 Pro is. However, it has a lot of similar features and positive aspects. If you’re looking for an exclusive camera smartphone, then the P20 is not for you. If you want an all around good phone with several photography features, decent battery life, and performance, the P20 a worthy investment.